Matt Wirt, a U.S. Coast Guard Charter Captain from Wilmington got a surprise fly-by guest on Aug. 29, 2018 after an unusual transmission came over the radio. 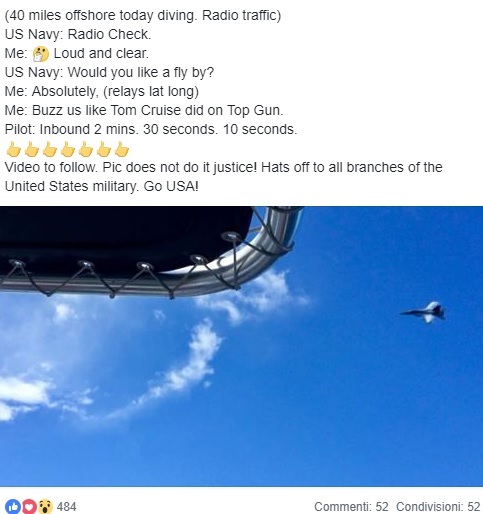 As reported by Task & Purpose in fact U.S. warship was asking for a radio check, and then asked the 28-foot charter boat named “Killing Time” if it would like a flyby. The Naval Aviator told Wirt the first pass was made to verify they had located the intended boat.